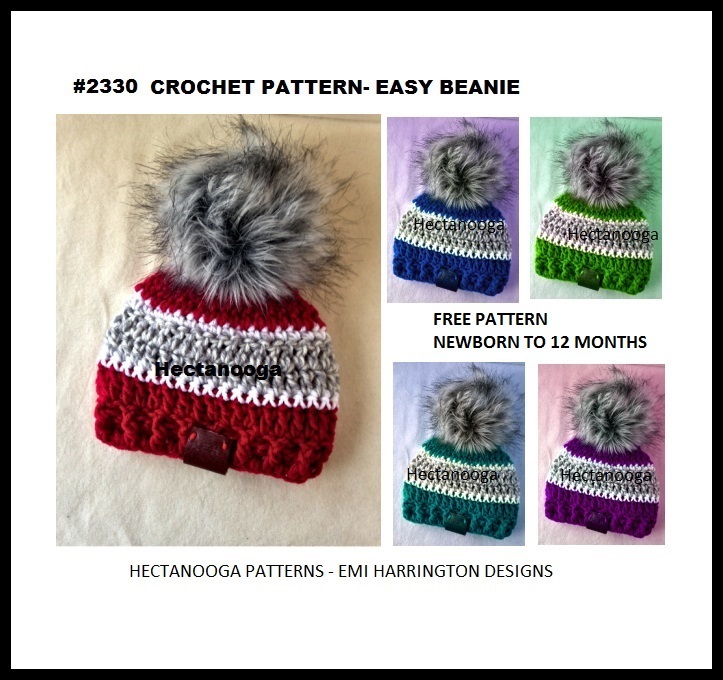 I have a FREE CROCHET BEANIE HAT pattern on Ravelry! It is very quick to work up. This combination of Red and Gray colors would be great around Christmas!! 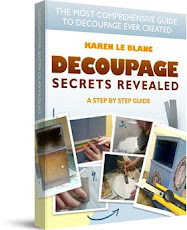 And of course, it can be worked up in any colors, or even in a solid color!! 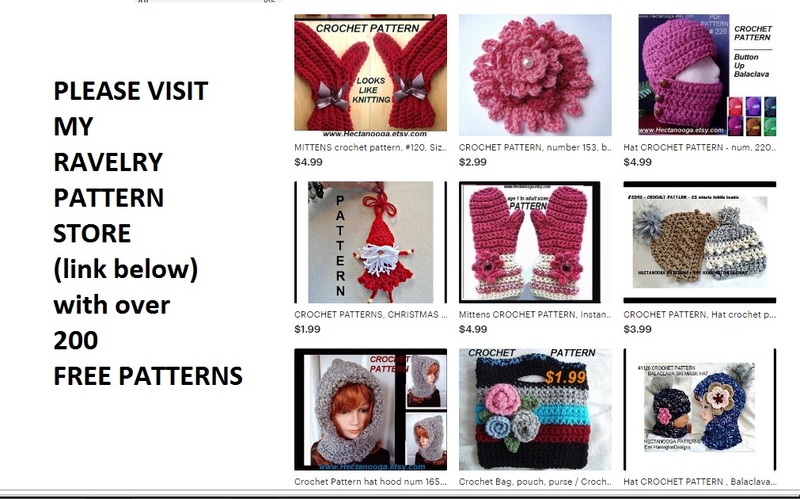 You can download a FREE pdf Pattern in my Ravelry Pattern Store!! 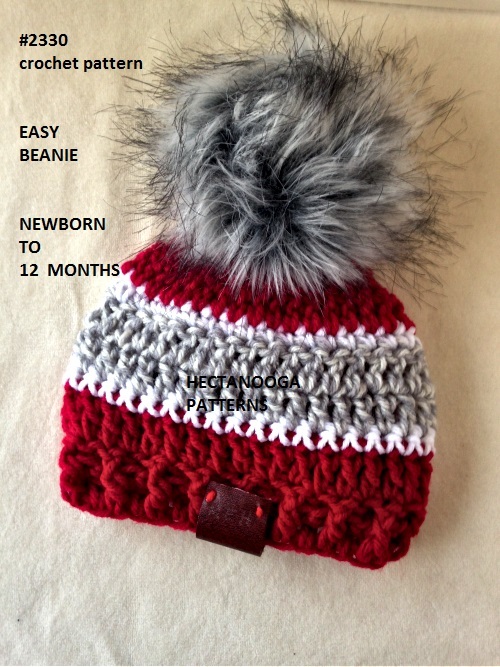 Newborn-3mths: chain 34, slip stitch to join being careful not to twist the chain. 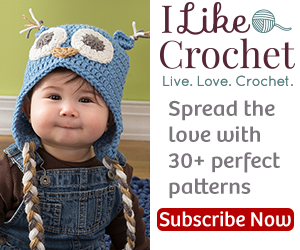 3-6 months: chain 38, slip stitch to join being careful not to twist the chain. 6-12 months: chain 44, slip stitch to join being careful not to twist the chain. 3. Chain 2, alternate front post and back post double crochet around, slip stitch to join. 4. *Chain 2, double crochet in each stitch around, slip stitch to join. 3-6 months: Repeat from * for one more row. 6-12 months:Repeat from * for one more row. 5. 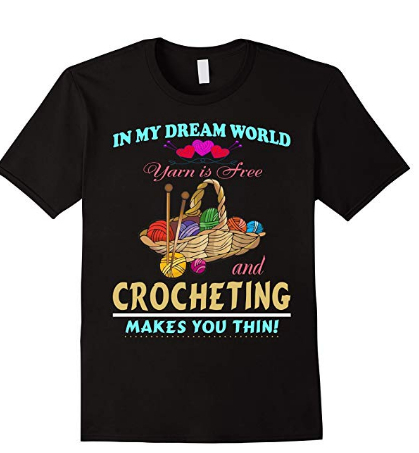 This design changed to white color yarn. Chain 1, single crochet in each stitch around, slip stitch to join. 7. This design changed to white color yarn. 8. Change to main color. 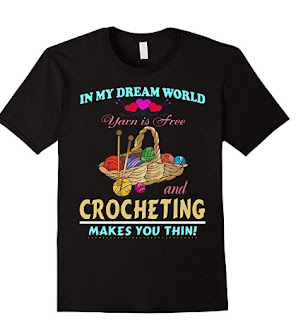 *Chain 2, double crochet in each stitch around, slip stitch to join. Newborn-3mths: no more rows, fasten off with a long yarn end. 3-6 months: one more row, fasten off with a long yarn end. 6-12 months: one more row, fasten off with a long yarn end. and close the top of the hat, weave yarn ends into the finished work. 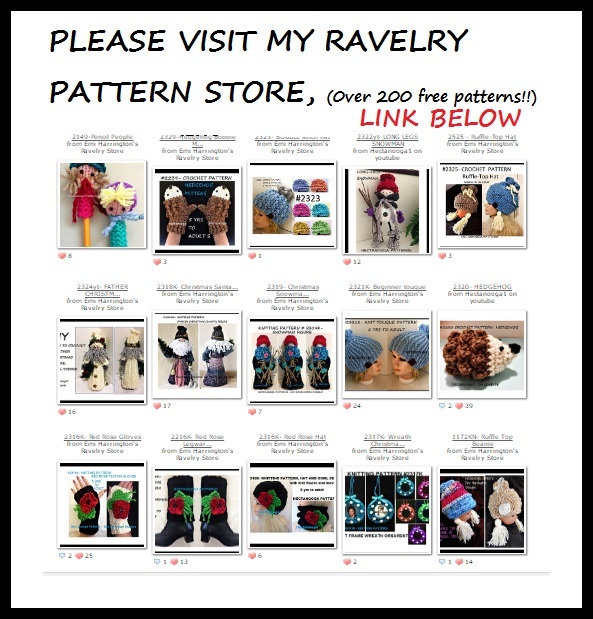 I have over 1200 patterns in my Ravelry Pattern store!